Louisville has always had a deep, abiding love for its unique neighborhoods, and Crescent Hill is certainly one its oldest and more revered. This adored geographic area of rich tradition, amazing restaurants, quirky shops, art galleries, and beautiful homes has now hit the pages of a recent new book that chronicles its rich history and powerful charm. 'Louisville’s Crescent Hill,' by John E. Findling, chronicles the story of Crescent Hill from its surprising beginnings to its present day status as one of Louisville’s most eclectic neighborhoods. Many of us who have lived in Louisville for decades were surprised to learn about Crescent Hill’s beginnings. Believe it or not, it started as the original site of the state fairgrounds! But over time, the neighborhood evolved into the charming and eclectic — even edgy — area that attracts home buyers of all ages, incomes, and walks of life. Its proximity to the beauty of Cherokee Park make it ideal for people who want to be close to downtown for work but near nature for fun and recreation. Restaurants like Porcini, Varanese, Pat’s Steak House, Blue Dog Bakery, and dozens of others have made Frankfort Avenue into a real competitor with Bardstown Road in the unofficial “culinary street capital of Louisville” contest. Also, the old churches with their rustic charm and the beautiful Cave Hill Cemetery, where visitors go just to experience its quiet grandeur and feed the legendary ducks, add a touch of timeless elegance to the contemporary vibe that the restaurants and boutique shops provide. A relaxing jaunt through the pages of Louisville's Crescent Hill is a visual treat that both Louisville natives and visitors to town should not miss. Author John E. Findling includes over 200 vintage photos that provide a rich visual history of Crescent Hill’s evolution from its early beginnings, through its challenges, like the devastating tornado of 1974, and its accomplishments, like the educational and charitable organizations it birthed, to its grandeur today. Carmichael’s Book Store, another Louisville landmark that begin as a small neighborhood book store frequently by Crescent Hill homeowner, held a book-signing on February 12, and autographed copies may still be available. The cost of the book in paperback is $21.99 at Carmichael’s or $17.15 on Amazon.com. 2354 Valley Vista Rd - Lovely center hall colonial center hall home on great street near Lakeside, Douglass Loop & Joe Creason Park. Hardwood floors through out with arched doorways. 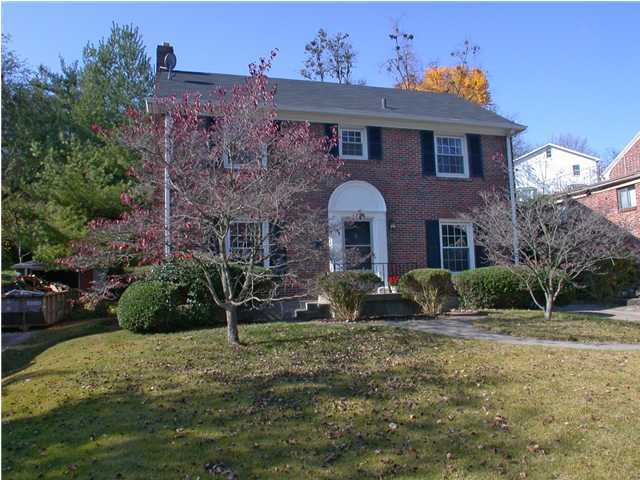 Living room has a beautiful fireplace, built-in shelves & opens to a rare 1st floor family room. Formal dining room just off the hallway leads to the newly remodeled (2009) eat in kitchen. The kitchen has granite counter tops, custom cabinets,stainless steel appliances, gas stove/convection oven, stainless exhaust hood and access to the fenced back yard. Addition storage in custom built-in seating in dining area. Spacious master bedroom on the second floor has plenty of room to add a master bath. Seller has obtained a bid for a master bathroom (Estimate $7,500-see attached pdf after the photos. Also upstairs are the 2nd/3rd bedroom. The finished basement was just repainted and has lots of storage and new carpet. Detached one car garage (new roof in 2011). Beautifully landscaped front and back yard. New roof on house in 2009. Viewing Louisville Highlands Homes can't get any easier - Our team is always here for you. Don't let this photo deceive you--this house is BIGGER than it looks & lives LARGER than its square footage. This exceptional 1912 Craftsman bungalow is LOADED with character...you enter the front porch and have a beadboard ceiling. The front facade has the original, multiple-light windows which have been restored. The 1st floor is extremely open from the kitchen to the living room & dining area....there is a beamed ceiling and a thick, simple, original wainscoting about 5 feet up the dining/living room walls. The built-in bookshelves surrounding the tiled fireplace, have been carefully restored. FULLY remodeled in 2011, both mechanically & cosmetically, this one has it all. The new kitchen has mission-style maple cabinets, granite countertops, & stainless steel appliances. Both 1st floor bedrooms are VERY large for this era of a home--between those 2 bedrooms is a gorgeous new bathroom with period, white hex tile floor, subway-tiled walls, new tub/shower, and a vessel sink. Upstairs are 2 Master Suites...you read that correctly! The larger master has a tiled, walk-in shower, jacuzzi tub, double vanity and ceramic tile floors. The other master (4th bedroom) has a private bathroom (#3) which has been added...this one was finished with a single-bowl sink vanity, tiled floors, and a tub/shower...Second floor laundry has been added, complete with a folding area. Outside there is a new deck, privacy fenced yard, and rear/off-street parking for one. With proper approval, this could potentially be converted to a carport or 1-car garage. New zoned heating & air, water heater, plumbing & electrical, and over 80% of the windows (sides/rear) are new....WALK to Tyler Park, Bardstown Road, and bus #17...convenient to just about everything...like new construction -or- Large Condo living...everything is new & not much to maintain inside or outside! Come take a look & see the many photos. LG&E averaged $150 per month. Louisville night life moved from lukewarm to red hot back in 2004 when 4th Street Live opened its doors. The entertainment and retail complex located on prime downtown real estate between Mohammad Ali and Liberty on 4th Street is home to a wide variety of restaurants, bars, and stores, and, as city officials announced this week, it will soon be welcoming one more. A bar to be called Tavern on Fourth, owned by East Coast Saloons who owns two other bars at 4th Street Live, will move into the second floor of the Kaufman Straus building after renovations are completed. The city says that this new 4th Street live tenant will produce 80 new jobs and further contribute to the city’s economic development efforts, and because of this, generous lease agreements and other financial incentives have been offered to the developers. But some eyebrows have been raised about the deal. As detailed in a recent Courier-Journal article, some Metro Council members and other citizens aren’t pleased with the deal offered to the Baltimore-based Cordish Company who developed 4th Street Live and is now brining Tavern on Fourth into the complex. Despite the controversy, 4th Street Live remains a great place for Louisville locals to meet after work or for visitors from out-of-town to eat out and have a good time. Restaurants include the Hard Rock Café, J. Gumbo’s, Marker’s Mark, Sully’s, Rengo Sed Cantina, TGI Friday’s, The Pub, Wet Willie’s, Ri Ra Irish Pub, The Sports and Social Club, Improv Comedy Club and Dinner Theater, and PBR Louisville as well as a food court. Many of these restaurants have live entertainment, and Angel’s Rock Bar and Howl At the Moon attract audiences as well. The retail part of 4th Street Live can’t claim quite as many offering though, just Foot Locker, T-Mobile, and CVS Pharmacy. But the site does host a number of concerts throughout the year which attracts people from all walks of life. Anyone looking for a good meal, time to party with friends, or a fun place to bring out-of-town guests will find that 4th Street Live has a little something for everyone. And now that Tavern on Fourth will soon be a new option for good times with its newly acquired downtown Louisville real estate, 4th Street Live will get even livelier. 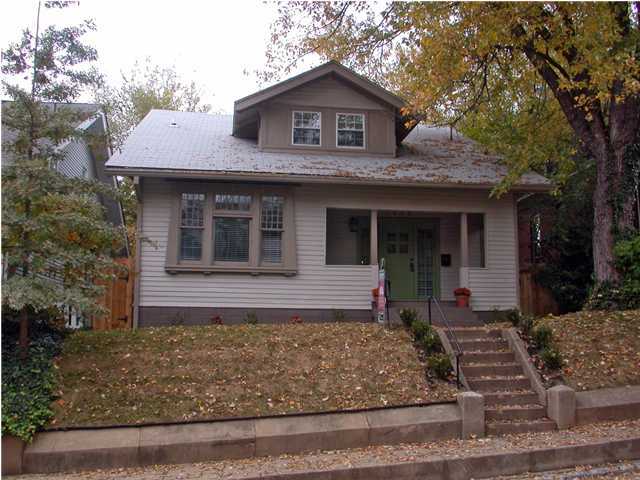 This is your perfect Highlands home on one of the more popular streets! Absolutely great curb appeal with beautifully landscaped and manicured lawn as you pull up to the home. As you enter the home you are greeted with large open rooms, a view all the way through to the back yard, and gorgeous original hardwood floors throughout, including pine hardwood floors in the kitchen - amazing! Lots of large windows in every room, lots of natural light, original woodwork and great paint colors make this home move-in ready. True Highlands living room has a large fireplace, coffered ceiling that extends into the dining room, and exquisite built-in book shelves. Need a home office? There is a perfect room as you enter the home that is a great space for an office, den or play room. Entertain in your dining room that conveniently connects to the living room and kitchen - large enough for a good-sized table, china cabinet and butler's serving table. The cook of the household will love the updated kitchen with lots of white cabinets, Corian countertops, and perfect layout. Place a small table and chairs and enjoy the view to the backyard while having your morning coffee. Relax in the wonderful family room addition that matches perfectly with the original features of the home. This room is large enough for comfortable seating and dining area and also has a great view to your beautiful backyard. The large master suite has a walk-in closet, large private bathroom, and a special bonus - an in-suite laundry room - You don't find many homes in the Highlands with walk-in closets, on-suite bathrooms or a laundry on the second floor! Plus there is a small separate office area off the master suite that could be an extra office or nursery. All the bedrooms are large, have great hardwood floors, lots of light and ready for your family and guests. The large unfinished basement has lots of storage space, as clean as you have ever seen, and a bonus, it has been waterproofed! The large private backyard has a privacy fence and also large bushes and trees for added privacy. Enjoy the upcoming Spring days entertaining and Barbequing on your large deck, and enjoy the additional, beautifully landscaped yard. Another bonus for the Highlands - - a two car garage! Additionally, the home has a gorgeous, unique tile roof! Home designers have preached it for years – when it comes to decorating a home, the most important characteristic in addition to color is texture. And when it comes to upholstery, luxury homes in Louisville often choose leather as their furniture covering of choice. When home owners choose a full leather living room set or just accent a room with a single chair, leather has a way of exuding a high-dollar, first class look. One reason for leather’s appeal is that it’s amazingly durable and lasts about four times as long as fabric. Also, people prone to allergies and asthma generally prefer leather because fabrics can harbor lots more dust mites. But let’s face it – the main appeal of leather is its look and feel. It simply feels good against the skin because leather is able to release moisture through its fibers into human pores. Because of this, it becomes even softer over time, and many people feel the aging process makes leather look better with each passing year. When we used to refer to “leather furniture,” we meant brown couches or recliners. But today, leather dining chairs, decorative ottomans and even cowhide rugs in a wide variety of colors are easy to find for any size home. But it’s true that not everyone is a great fan. Leather can puncture when sharp shoe buckles or jewelry scratch its surface, and failing to clean the armrests can result in wearing from the build-up of body oil over time. Also, some people simply don’t find it as comfortable as fabric. Depending on the clothing a person wears, leather can be very slippery and cause a person to have to struggle to sit up straight. In the summer, bare legs in shorts of skirts can feel sticky against it, and in the winter, some folks prefer the warmth of fabric when cuddling up on the sofa under a blanket. Also, people concerned about the use of animal parts in manufacturing probably won’t choose leather either. But perhaps the biggest downside is the price. Leather can cost 25%-50% more than fabric, so this alone will keep some consumers away. Regularly dust leather furniture with a dry cloth. In fact, keep a couple dry cloths set aside simply for this purpose so that any residue from other surfaces in your home don’t get back on your leather. Keep an eye out for sharp objects – buckles on shoes, pointy jewelry, and even your pet’s nails. Leather does scratch, so the only way to prevent this is to make sure sharp objects don’t come in contact with it. Always remove spills as soon as possible with a clean cloth. Never use soap or try to soak stains with water. A couple times each year, wipe your leather furniture down with a damp cloth. Use only a tiny bit of distilled water, not tap water because it can stain. Afterwards, add some moisture by using a conditioner without color that is specifically made for leather. Just rub a few drops into the upholstery with a soft cloth and wipe dry with a clean one. Although some folks may not choose leather for their homes, many luxury home-owners in Louisville find leather to be the most attractive, classic, comfortable upholstery available. As home designers have told us for years, texture is a vital element in room design, and for many, leather provides not only amazing texture but an excellent long-term investment as well. 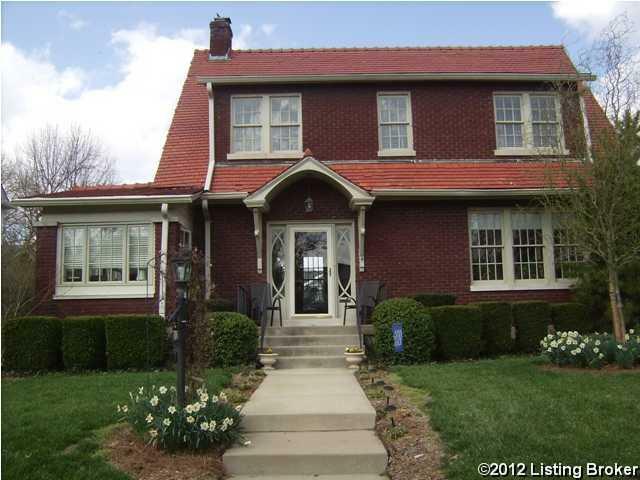 Search Louisville Luxury Homes for all available upscale homes, condos and farms for sale. Everyone knows what a fabulous area of Louisville the Highlands is. 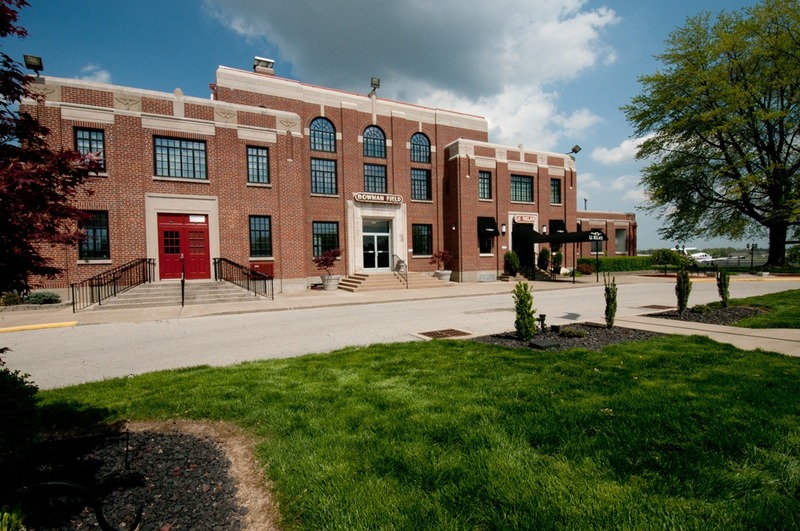 The stunning homes brimming with character on tree-lined streets, the Highlands’ proximity to downtown, its easy access to Seneca and Cherokee Parks, and all the nearby restaurants and galleries on Bardstown Road make it one of Derby City’s most sought-after addresses. But it’s not just the parks and dining that make the Highlands such a unique residential area. It’s also the fact that it’s home to the 92-year-old Bowman Field, Louisville’s airport for small aircraft. One of the oldest continuously operated airfields in the country, Bowman Field has been an important part of local corporate air travel and a key source of flight time for amateur aviators. Among other services, this Louisville landmark provides a way to keep smaller aircraft away from the big commercial jets at Louisville International Airport, and it serves as a major site for pilot training in Kentucky. But you don’t have to be in the business to appreciate Bowman’s magic. Anyone who’s ever sat out on the deck at Bistro Le Relais to sip a glass of wine while watching the planes land at dusk knows quite a bit about Bowman Field’s charms. Its rich history dates back to 1919 and includes a landing by Charles Lindbergh in the Spirit of St. Louisville in 1927. From 1928 until 1947, Bowman was the city’s main airport until commercial operations moved to Louisville International Airport, then known as Standiford Field. Now, though, the future of this classic airport may be in question. Business has decreased considerably in recent years resulting in significant deficits. In 1998, there were 195,000 takeoffs and landings. In 2011, there were just 72,000. Additionally, the FAA has started enforcing a larger zone of protected airspace that is required for airports that house the kind of modern instrument landing guidance systems that Bowman has. Some Highlands residents fear that this will mean losing ancient trees in beautiful neighborhoods like Kingsley and Seneca Gardens. 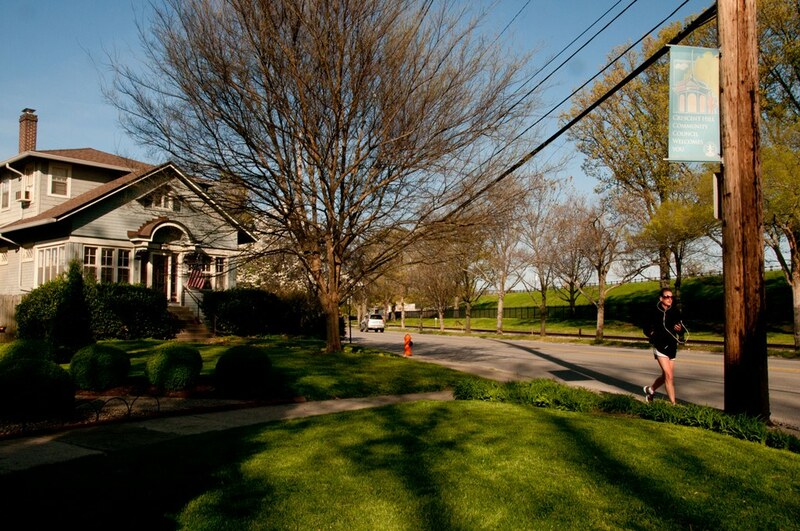 The debate over Bowman Field’s future is far from over. Many believe that despite large deficits, Bowman plays an important role in freeing Louisville International from potential entanglements caused when large commercial jets share space with smaller planes, and that regardless of the number of flights it has, Bowman is needed as a key aviation training site. But others worry that their Highlands homes may be adversely affected if neighborhoods lose many of the old, beautiful trees that are so much a part of the area’s charm. For now, only time will tell. Search all Highlands Homes for sale by area, price, year built, square footage or any other detail on Louisville's superior MLS search engine.